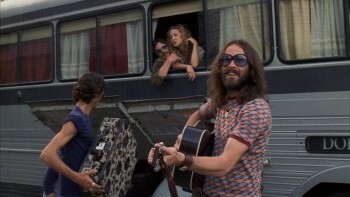 Almost Famous, Cameron Crowe's delightful love-letter to the changing face of music in the '70s, follows a young journalist who's touring across the country with an archetypal band of the era -- and it feels like a whimsical fantasy. A "square" young music lover gets drawn into rock-'n-roll's web as a tethered observer, surrounded by what seems like a self-gratifying, doe-eyed dream. He turns to see rock legends at each corner of equally-legendary hotels and concert venues, and he's sent there by way of (paying) magazines to interview icons. Crowe's directorial angle reaches a peak in this patchwork of reminiscent adoration and pure heart, bottled in a sublimely vintage package that's as much about journalism as it is about coming of age. The fact that it pulls from real happenings only heightens this view, stitching it together into one of the more emotionally articulate, grin-inducing films about the era. 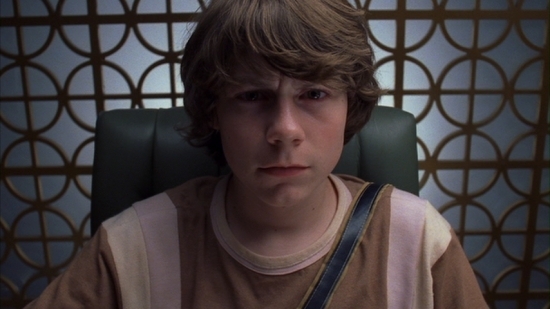 Crowe filters his personal experiences into those of William Miller (Patrick Fugit), a sharp fifteen-year-old in '73 California. His mother (Frances McDormand), a college teacher, pushed him ahead in school enough so he's graduating early, while his rebellious sister (Zooey Deschanel) took off years back in a thrust of protest. Her parting gift to William? A box of records, which fuels his passion for music. His enthusiasm turns into heated critique, which organically lands him an assignment with Rolling Stone after grinding out a few pieces for Creem Magazine -- helmed by Miller's "mentor", Lester Bangs (Philip Seymour Hoffman). His project consists of chronicling and interviewing Stillwater, an upstart band Miller builds a relationship with -- and with, in tandem, legendary groupie "band aid" Penny Lane (Kate Hudson), the woman who's going to turn their lead guitarist Russell Hammond (Billy Crudup) into a star. With promises to call frequently and not take drugs, a teenager's journey down a potentially hazardous highway begins. William's story -- and, in turn, Crowe's -- takes us back to when music was unsullied and empowering instead of a direct commodity, and it drops a spirited, geeky upstart in the thick to report on a band more interested in the kid than his status as "the enemy"; which is fitting, since he's more interested in "Stillwater" than in their music. From the first gonzo-rooted conversations with Bangs, Almost Famous dips into the context of journalistic integrity and, by association, fraternizing with the enemy; the weathered rock journo warns Miller of lavish gifts and flights on planes, and that they're going to try and pull him in to get a blunted story from him. Miller, a high-school kid with little weathering in the social spectrum, doesn't know exactly how to grasp that concept. All he can do is take the ride, try to get his interviews, and decide what kind of story he's going to tell -- either with a dull or sharp edge. He certainly gets dirt, enough to sink the Stillwater ship, but he also gets wrapped up in the expressive, wide-eyed hospitality of the era's musical culture. Crowe's style as a director veers from clear-cut drama or comedy, so his quasi-autobiographical glimpse into the wildness of '70s music will naturally opt for sentiment over incisiveness. Though it's somewhat contradictory as a recount that pivots around William's eye for integrity, there's nothing wrong with a tender reflection when it's this warmhearted and infectious amid a growing-up yarn; they're Crowe's memories and they're sublime to behold, even if Almost Famous pulls punches that might've authenticated the abandon-free era. Combined with John Toll's dreamy cinematography and Crowe's attuned ear for music's soulful language, it's the recipe for a fond, semi-truthful musing that mixes hazy glimpses at a period with embraceable storytelling. Maybe Almost Famous actually does have laughs at its core, and I'm just too wrapped up in its graceful whimsy to let them belt out. Due in large part to authentic performances, any urgings to see Crowe's film in a comedic light fall to the wayside of its soulful, musically-inclined weight. Fugit's earnest performance as an unsullied, heart-on-his sleeve teenager crafts him into a faultless vessel for life lessons, while his rapport with the guys of Stillwater -- especially Billy Crudup's vaguely-narcissistic Russell Hammond, who dodges his interview with William for his affair with Penny -- hits all the right notes. Then, there's Penny Lane. Kate Hudson's almost ethereal presence as the "band aid" bolsters the notion of muses behind artists, but her dramatic moments also illustrate a heartrending perception of her almost ghostly place in the group. There's a splendid scene late in the film between her and William about her perceived worth to Russell, and, with a tear down her cheek and a forced smile, it agilely grasps every emphatic mood stirring between them. It's William's growth in the midst of rock-'n-roll's bedlam that becomes Almost Famous' backbone, which trades gut-churning jabs with idyllic splashes of nostalgia. The script navigates through emotional bumps, such as attempted suicide and balancing journalistic integrity with kinship, and Crowe's screenwriting nimbly weaves them together with the film's vibrant tones. William sees the damages of promiscuity, the dangers of drug use, and learns a few things about love and lust, all practically at arm's length away from it all -- and with a direct line to his fretting mother, who's already lost one child to the era's rebellious furor. The impressiveness doesn't so much rest in the way Crowe gives deep-seeded punch to the dramatic bumpers that "the enemy" bounces off, but the way he retains their significance alongside a subtle vein of empathy. And he communicates that link exceptionally well within a film that gleefully resonates, free of schmaltz but packed with heart. 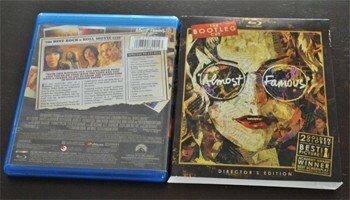 Paramount brings Almost Famous to Blu-ray in a standard one-disc release, adorned with a cardboard slipcase that features a few bursts of color in Penny Lane's glasses and lips. Note that this release only contains the Bootleg Cut of the film, more properly called "Untitled", which spans nearly forty (40) minutes longer than the theatrical cut. Though some early muddy shots of the artwork weren't terribly flattering to the collage-like arrangement outlining Penny's face, it's actually a very handsome, cleverly-arranged design (click here for a larger photograph). Nothing else has been included inside, which mirrors Paramount's now-customary silver-topped disc and eco-aware plastic case. 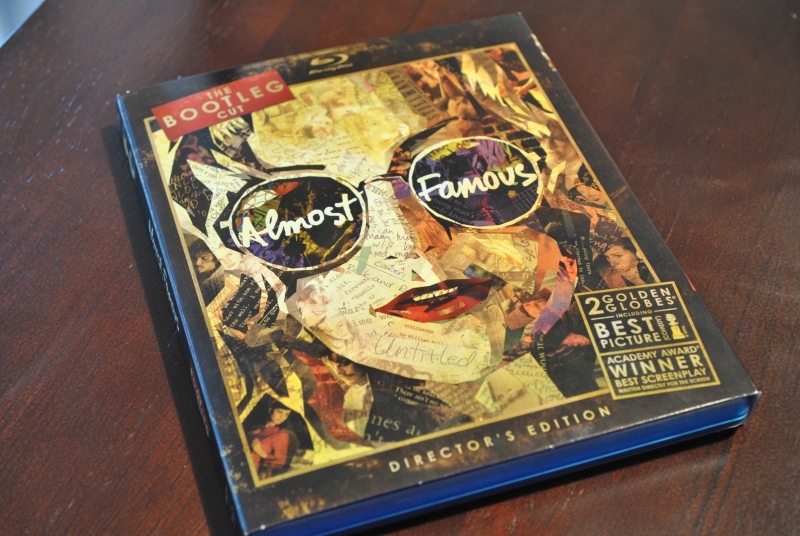 Note: Currently, Paramount/Dreamworks are offering Almost Famous as an exclusive Blu-ray only at Best Buy locations, but it'll likely hit other retailers soon enough. This review will be updated if and when this information changes. Almost Famous arrives from Paramount/Dreamworks framed at 1.78:1 for this 1080p AVC presentation, which reflects the opened-up-from-1.85 look from the previous incarnation. Though I never got around to picking up the Blu-ray release from the UK, I'd venture a guess that the two presentations probably look pretty similar in regards to visual quality -- which, roughly five years into the format's longevity, creaks along as merely satisfying enough to gratify ardent fans. John Toll's cinematography encapsulates a visual tone that's both dreamy and earthy, tapping into an organically '70s-esque vintage palette, which could look a bit better but still appears robust in this high-definition handling. Ever-present grain keeps the image looking faithfully film-like, though it grows heavier in parts than expected and a bit smooth against some textures, while the crispness of detail in close-ups and the contrast in the dimly-lit concert scenes comes across as agreeably stable. Where the image doesn't really satisfy is in the realm of depth, as it appears less-than-nimble, flat, and digital at times. Those looking for a respectable uptick over the Bootleg DVD will still find it here, but it's not to the extent that could've been. Crowe's collage of '70s tunes and Nancy Wilson's original music fare better in the DTS HD Master Audio treatment, which drums and strums along with only a few reservations -- though clearly a step-up over the Dolby Digital 5.1 offering adorning the Bootleg Cut in the "Untitled" DVD. The pounding of percussion instruments agilely falls into the lower-frequency area, getting a few chest-thumps here and there but ultimately streaming along as properly-balanced, while the sounds of the crowd shifts to the rear-channels as the primary surround elements. Guitar twangs, a bus revving-up and driving away, and a large splash of water crisply echo through the speakers, while the rustle-'n-bustle of busy hotels always gives the sound design plenty of energetic movement. And mostly, the verbal clarity comes across as clear; several times throughout, however, some verbal clarity gets strained, especially during highly-emotional moments. Then it'll come back with a nimble laugh or line delivery, and it'll make you forget about those hiccups. Overall, the track gets it right in regards to the music and ambience, with verbal clarity a few steps behind but still very suitable. English, French, and Spanish subs are available to pair with the English Master Audio track, while French and Spanish Dolby 5.1 options are also available. 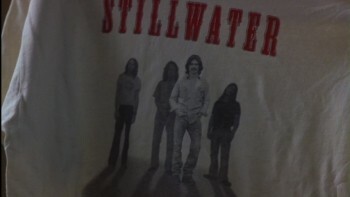 Supplemental features were/are spread across both discs for Almost Famous' standard-definition Bootleg presentation, which included both cuts of the film and a Stillwater CD sampler. 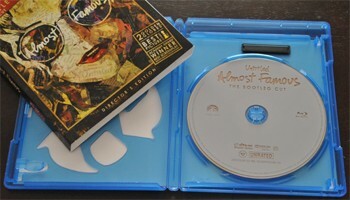 All of these pertinent extra features from Dreamworks' previous DVDs have been carried over on a single Blu-ray disc for this "Bootleg Cut" Director's Edition, though the soundtrack CD and the theatrical cut of the film have been excised. Many of the items on the "Extras" arrive with a microphone next to them; this annotates an introduction from director Cameron Crowe, which plays before showing the material (the introductions cannot be listened to themselves without playing the material). Cameron Crowe -- accompanied by Vinyl Records and Dreamworks' folks, as well as his mother -- blatantly states at the forefront that it's a "personal" commentary track, and the anecdotes and reflections he undergoes throughout do reflect as such. He and his mother reflect on how scenes in the film reflect on real situations and characters, while Crowe also dips into his associations with musicians. He talks about how the Allman Brothers mentioned running him "through the ringer" when they discussed his evolution into a director, how people searching for time-period gaffes mistakenly pointed out the Post-It notes around his bathtub as an inaccuracy (when they're in fact halved pieces of paper), and how much truth there is behind some of the real-life connections between Stillwater's band members and what happened to Crowe -- which, from the mother-rocker phone conversation in the film to the "deflowering" sequence, reflect a lot on reality. It's a good, cheerful track that's still a fun listen. A feature that didn't make it to the "Untitled" two-disc DVD set, this HBO-produced assembly featurette follows a standard rhythm of interviews, snippets from the film, and assorted vintage photos featuring Crowe in his writing heyday. His wife and musical counterpoint Nancy Wilson helps to tell the story of Almost Famous' inception, while Kate Hudson, Philip Seymour Hoffman, Frances McDormand, and others reflect on the robust experience of crafting his story. Sure, it's standard fluff that doesn't give any insight, but it's a breezy, quick insight that fans will enjoy having access to. This lengthy deleted footage features William, his mother, and some of William's teachers/counselors, where they all sit down to talk about his Rolling Stone assignment. Know the point where his mother goes on the "not miss one single text" rant? That's actually edited from the very end of this lengthy span. Obviously, the inclusion of it in its entirety would've changed the tone, though it'd add a bit of pragmatism to William's protective mother allowing her son to go off with a rock band. Their bickering plays with Biblical phrases, discussion of law school, and William offering his "proposal" -- where he brings out the "Tolkien" guns. It then feeds into a full-length playing of "Stairway to Heaven" ... but, no, the actual song still isn't included, while text asks us to grab a copy of the song and fire it up alongside. At around the 11-minute mark, the audio for the sequence kicks back into gear. A few text documents have also been repurposed in a classy, easy-to-navigate format, including several of Crowe's Rolling Stones Articles and the full Script for the film. 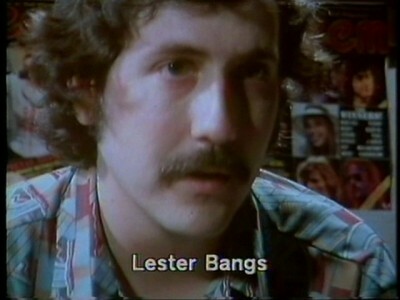 Along with that, the other self-explanatory elements from the Bootleg DVD have been carried over to this edition, which include: the vintage Interview with Lester Bangs (1:55, SD MPEG-2), the director's audio-based discussions in Cameron Crowe's Top Albums of 1973, a "Fever Dog" Music Video ( 4:42, SD MPEG-2), Nancy Wilson singing a fleshed-out version of "Love Comes and Goes" (3:53, SD MPEG-2) with behind-the-scenes footage playing, B-Sides (5:21, SD MPEG-2) that mostly focuses on the radio interview that takes place in the film, full-on cinematic shots of the Cleveland Concert (15:45, SD MPEG-2), and the full-length hotel performance of "Small Time Blues" (2:55, SD MPEG-2). Paramount have also carried over the three Easter Eggs from the "Untitled" / Bootleg DVD; this includes the Kate Hudson "Spencer-Jane" Takes (9:02, SD MPEG-2) that can be found by pressing the right button next to "Script", the "Stolen Kisses"-esque Take (4:59, SD MPEG-2) located by pressing left when highlighting the microphone next to "Love Comes and Goes", and the Lester Bangs Take (0:46, SD MPEG-2) interrupted by the "phantom cut" that can be found by pressing left next to "Stairway". Each item is annotated by record icons. Cameron Crowe's work plays with a particular mood that teeters between comedy and drama in a way that's neither and both, and his semi-autobiographical Almost Famous finds a pinnacle to this tender tonality. As it should, since it's his own amalgamation of experiences while writing for Rolling Stone as an underage kid in the '70s, concentrated and injected into the fictional account of William Miller, Stillwater, and "the incomparable" Penny Lane. Crowe's ear for music, his delicate-but-charming writing style, and the overall attitude he crafts between them and a faultless cast, are all enveloped in vintage sentiment yet free of overt melodramatic hooks and cheap-'n-easy shots at humor. It's a warming film that only improves upon each viewing, while also having a thing or two to say about journalism and integrity in the process. Paramount's Blu-ray could've been better in two areas: slightly-better audiovisual properties, and an inclusion of both cuts of the film. With that in mind, though, the "Untitled" Bootleg Cut in high-definition still receives a High Recommendation, mostly because the digital presentation improves admirably on its previous incarnation and mindfully includes all the previous special features -- and at a tolerably low price tag.